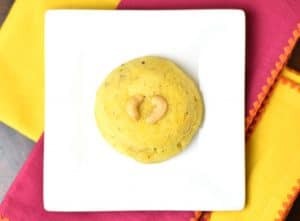 Kesar Badam halwa, or Saffron Almond Pudding, is the undisputed “king” of Indian desserts. Made using just six simple ingredients, it is one of the most delicious and decadent desserts. 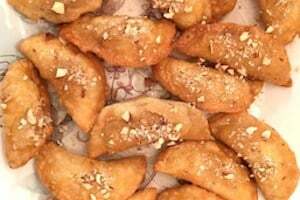 I make it using almond flour , milk, butter or ghee (clarified butter), sugar, cardamom and saffron. , forms the foundation of this rich dessert. I add milk for a creamy and silky smooth texture. 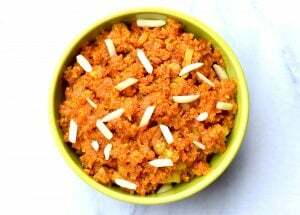 Saffron provides a beautiful floral aroma and vibrant yellow color to this halwa. 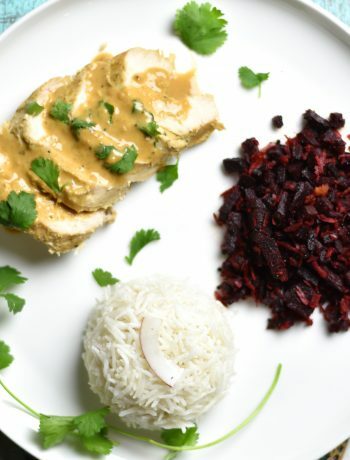 I add a pinch of freshly crushed cardamom since that enhances and compliments the flavors of saffron. 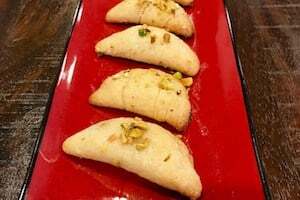 Up until I came up with this recipe, I had been making Almond Halwa following my mother-in-law’s super delicious recipe. 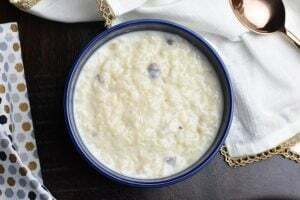 I would start by soaking the almonds in warm water for 3-4 hours, peel off their skin, then puree them into a paste using about a quarter cup of milk. I would then saute the almond paste and sugar mix in ghee. Saffron soaked in warm milk would go in and I’d continue to saute till it reached a pudding like consistency. That process took anywhere from 30 -45 minutes depending on the quantity. During the entire process, I would have to stir almost continuously to prevent the almond paste and sugar from sticking at the bottom and burning. The result was always finger-licking good, but, it was a labor of love! 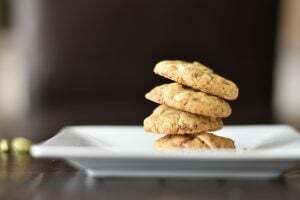 Ever since I got my electric pressure cooker (Instant pot), I have been experimenting with our cherished family recipes and making them simpler, quicker and healthier to make.
. That cut down the total time considerably. No more soaking, peeling and grinding. 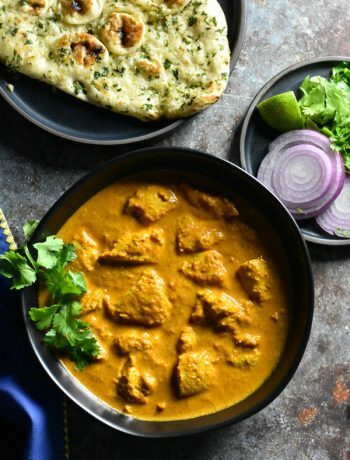 The original recipe uses about 3-4 tablespoons of ghee or butter, to provide that rich and creamy texture. I’ve made this recipe healthier by cutting ghee or butter down to a tablespoon, and, increasing the quantity of milk. 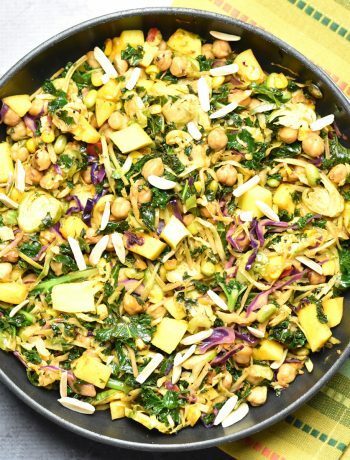 I feel that almonds have natural oils that release during the process of cooking, so I don’t feel the need to add more than a tablespoon of ghee. But that’s a personal preference. If you enjoy your halwa with more ghee, you can always add more. Cutting down ghee reduces the saturated fat content, hence reducing calories. 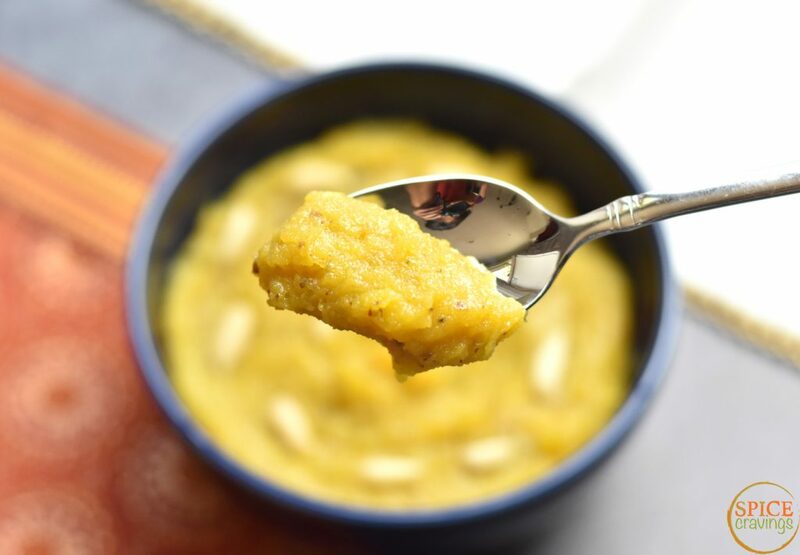 Increasing the quantity of milk adds a rich flavor and gives a silky smooth finish to Kesar Almond Halwa .
. To learn more about the instant pot, check out my Instant Pot FAQ and Accessories blog. instead of regular milk. This also makes the recipe vegan. 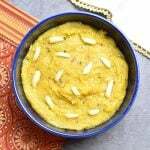 Kesar badam halwa, or saffron almond pudding, is the undisputed "king" of Indian desserts. Made using just 5-6 simple ingredients, it is one of the most delicious and decadent desserts. Saute: Heat butter or ghee on SAUTE. Reserve 1 tablespoon of slivered almonds for garnish and add the rest in. Add almond flour and saute for 3-4 minutes. Meanwhile, heat milk, water and saffron in the microwave for 3 minutes. You can also heat this on the stove-top. Add sugar to the almond mix and stir well. Pressure Cook: Add crushed cardamom and saffron milk mixture to the pot, and whisk well to prevent any lumps. Cancel SAUTE, close the lid. Set the vent to 'sealing' mode and pressure cook for 4 minutes on high pressure. Reduce: Do a quick release of pressure (QR), by turning the knob from sealing to venting position. Once the pin drops, open the lid and turn on SAUTE. Reduce the liquid and stir in between. 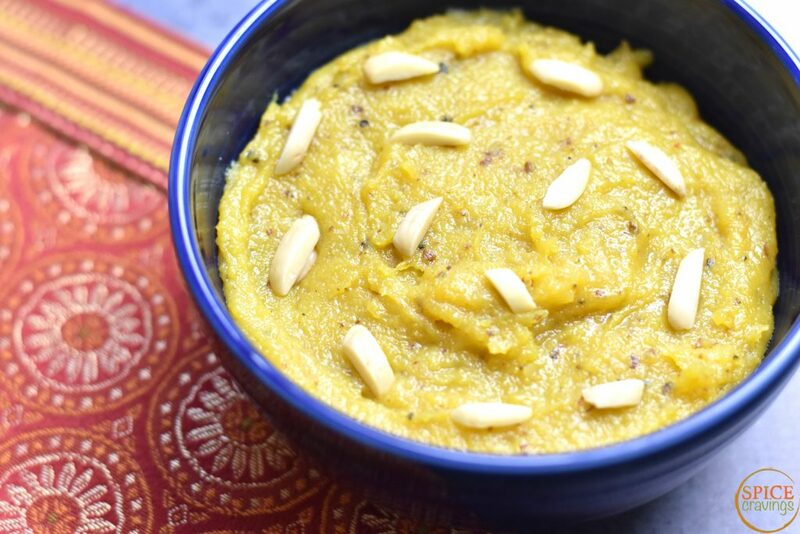 For this quantity, in a 3qt Instant Pot, it takes about 10 minutes for the halwa to reduce to a pudding like consistency. This time can vary depending on the quantity of halwa and size of your pot. 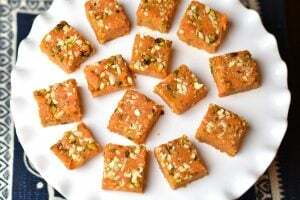 A larger surface area will help reduce the halwa faster. Turn off SAUTE when Halwa reaches a desired pudding like consistency. It will continue to thicken while it cools too. Garnish with the reserved slivered almonds and serve warm! Enjoy! Hi Nithya, thank you so much! Hope you try it sometime! Awesome recipe. Tried it and came out well. I plan to make it again, but triple quantity this time. How long should I pressure cook? Please advice. Thanks. 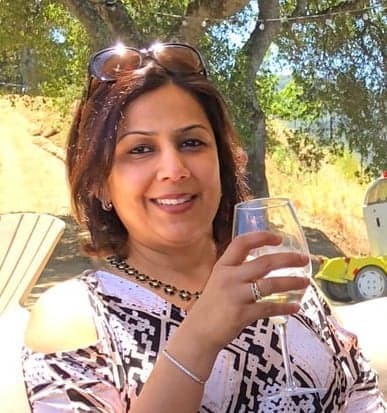 Hi Shantha, I am so glad you enjoyed this halwa recipe!Thank you for sharing your feedback! The pressure cooking time stays the same even if you triple the recipe. The Instant Pot will just take longer to come to pressure so your overall time will go up, but cook time stays the same. OMG!! This awesome…so simply and delicious. This was the big hit at the party!! Hi Akanksha, Thank you so much! I am super glad you and your guests enjoyed this recipe! Thanks for sharing that. 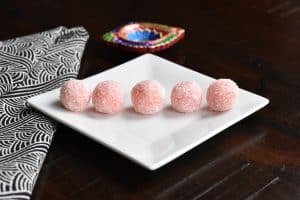 More Diwali sweets recipes coming soon!